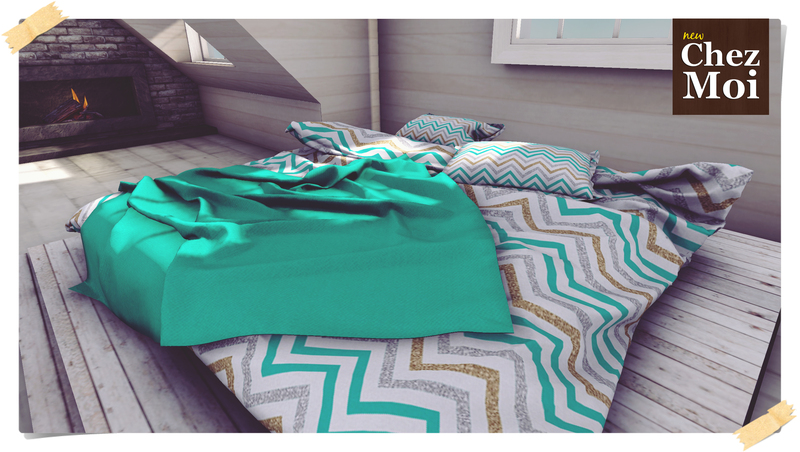 The Sassy Messy Bed is eye-catching in your bedroom! Fully interactive for relaxing moments by yourself or with family, as well for hot dates! 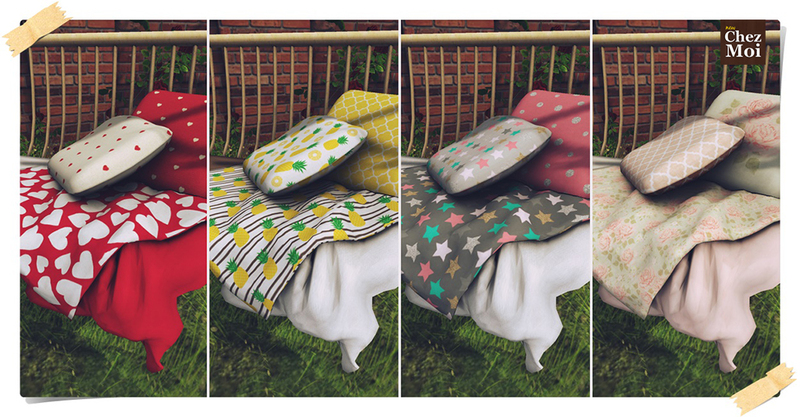 ♥ Texture-change options: Tap the bed to display the texture menu with six choices. A cozy place is perfect to enjoy a pleasant day with your friends or dating that special person. This fully interactive outdoor swing is perfect for balconies or gardens and will surprise your guests and visitors. 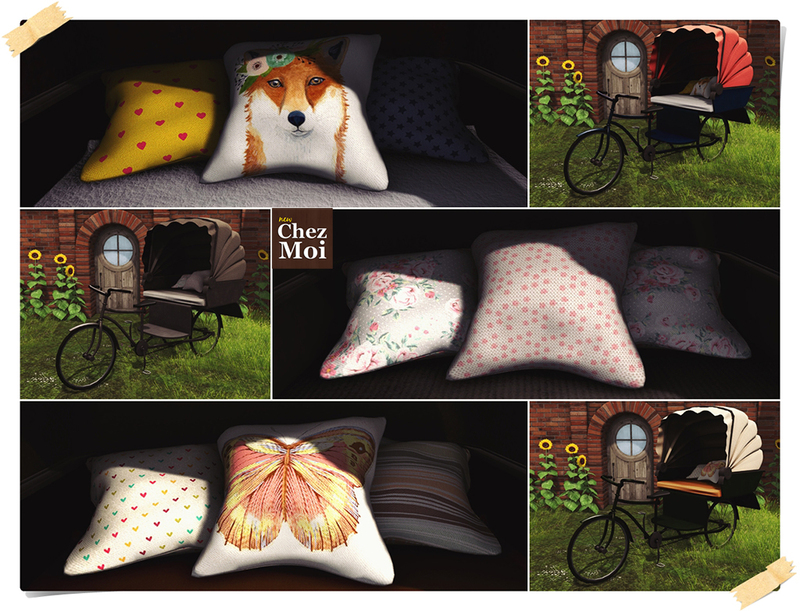 ♥ Texture-change options: tap the pillow to display the menu. There are 4 combinations to choose from. 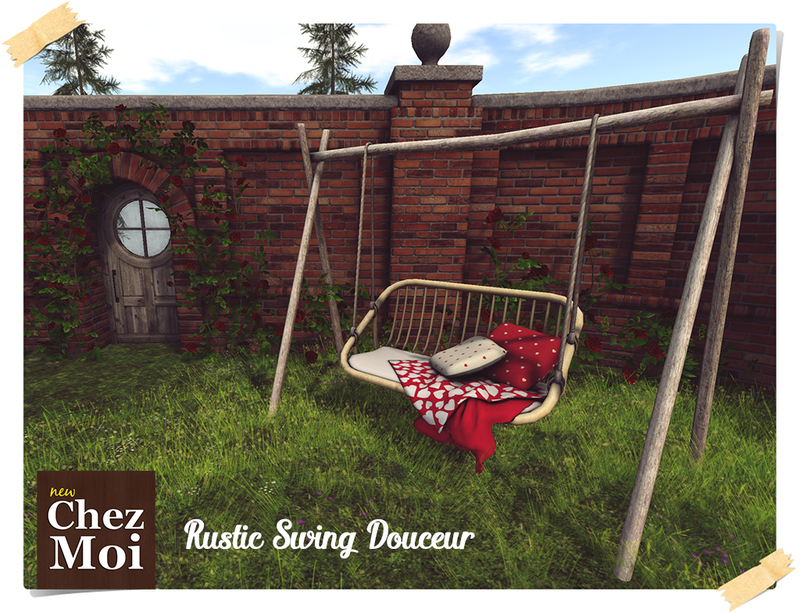 This Swing is available on CHEZ MOI MARKETPLACE, or for a closer look, visit our IN-WORLD STORE. This lovely and fully interactive carriage is an eye-catching for your garden, venue or park. ♥ Texture-change options: Tap the carriage to display the menu. You can choose between 3 options. IMPORTANT: This is not a vehicle. Only for decoration. 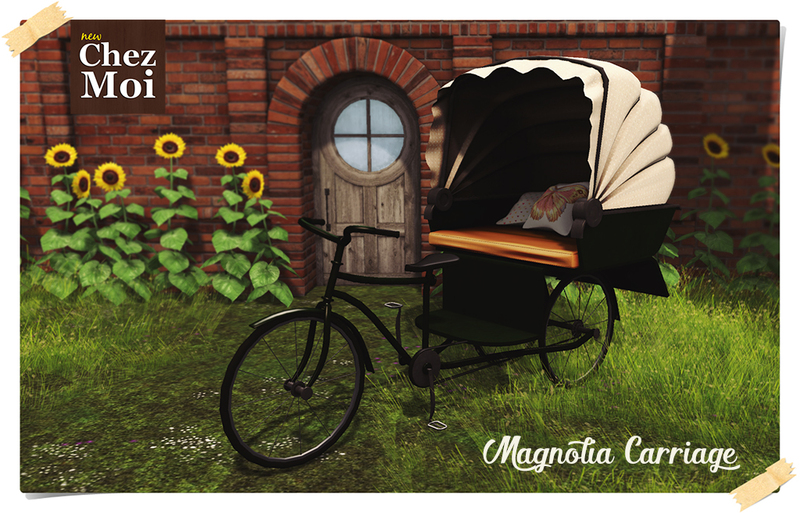 Magnolia Carriage is available on CHEZ MOI MARKETPLACE, or for a closer look, visit our INWORLD STORE. This elegant gazebo made with wrought iron is perfect for creating an outdoor place to relax by day or dance and cuddle at night. 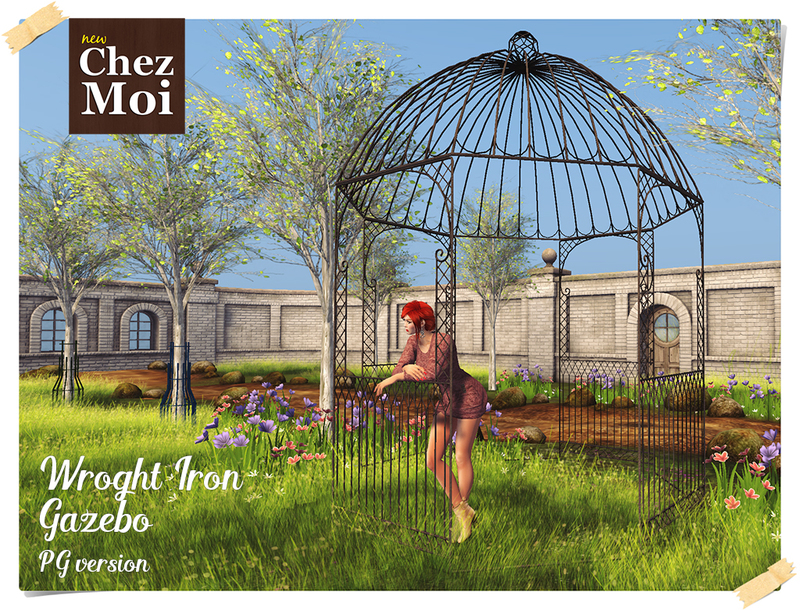 This Gazebo is available in CHEZ MOI MARKETPLACE, or for a closer look, visit our IN-WORLD STORE. A wood burning over perfect to make your home even more cozy and warm! 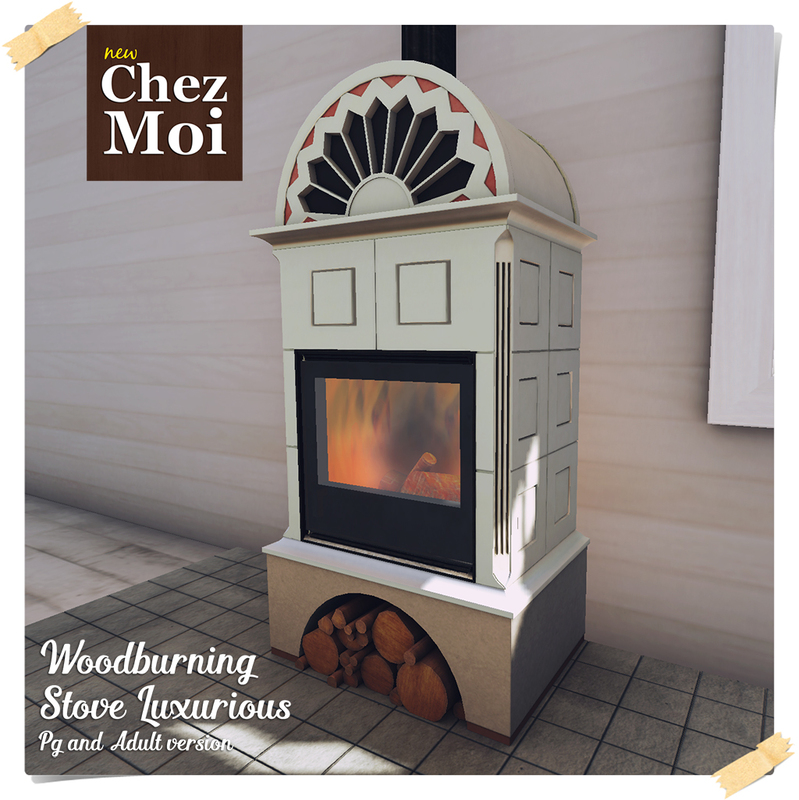 ♥ Tap the logs to display the FX menu – crackling fire sound and fireplace sounds. 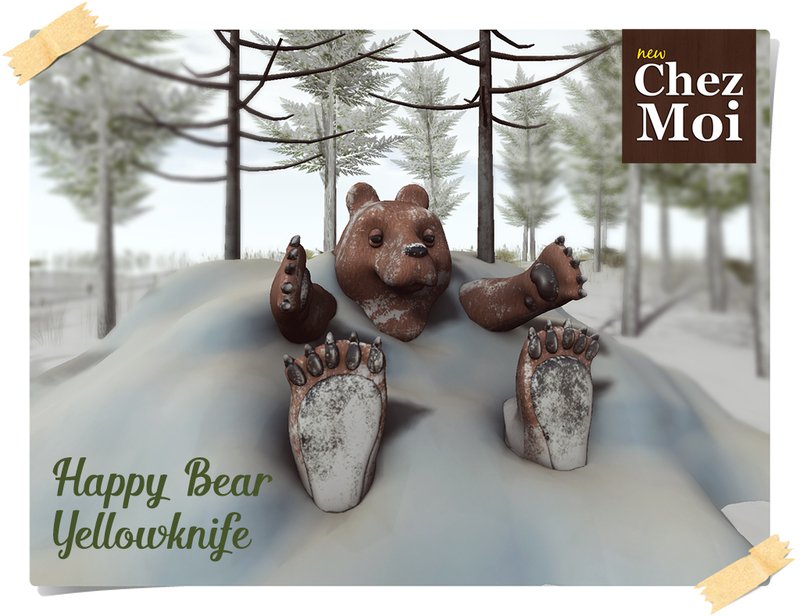 This Sweet Bear will make you laugh and have a great time with your friends! It comes with 6 single poses (unisex) – 3 each spot.